A mountain of circumstantial evidence implicates a convicted felon living in the Independence neighborhood where a Kansas City woman disappeared in December. The man was also questioned about a 1998 homicide that remains unsolved. 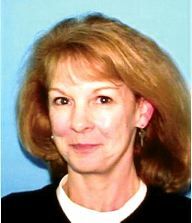 A private investigation has brought forward the information about the disappearance of Summer Shipp, 55. olice, however, say little except that Shipp's disappearance is still under investigation. No charges have been filed, and the searched has garnered national attention through talk shows and CNN broadcasts while a daughter holds out hope she may one day see her mother again..o what happened to Summer Shipp? From what investigators learned from eyewitnesses, Summer Shipp arrived in the neighborhood of Forest Avenue and College Terrace just after 1 p.m., Dec. 8. She was doing door-to-door surveys, offering residents $10 to take the survey, which could last up to one hour inside the home. She spoke to three people in the neighborhood. Daughter Brandy Shipp always worried about her mom when she did the surveys. Brandy Shipp leans on a utility pole at College Terrace and Forest Avenue in Independence, just down the hill from where her mother's car was found in December after Summer Shipp was reported missing. Brandy is hopeful her mother is still alive somewhere in the United States, and that some new clues will turn up. There is a $100,000 reward for information that leads to finding Summer. "She likes to meet people," Brandy Shipp said of her mother's job. "She's just a very trusting person. She got to know a lot of people." The last witness to take the survey, Bill Summers, remembers Shipp coming to his door. After answering a few questions, he reported watching Shipp walk down his driveway, telling a neighbor, Jeffrey Sauerbry, that Shipp was offering cash for surveys and closing his door. Summers reported Shipp left his house and walked toward Sauerbry's house. That was the last confirmed sighting of Shipp. Shipp's disappearance has turned up few clues, except for a Sutherland's Lumber and Home discount card in a wooded area behind William Chrisman High School. Her car was found in the neighborhood she was working P purse still inside and a cup of coffee in the console. Private Investigator John Underhill, who has spent 780 hours investigating the case the last six months, almost all of it on his own time, said there are three possible scenarios as to what could have happened to Summer Shipp P she ran away, she was kidnapped or she was murdered. While the clues seem to negate the idea that Shipp ran away, Underhill said it's important to look at the case with an open mind. Summer's mother died just a few months before her disappearance, and she had just been to St. Joseph, Mo., a few weeks prior to take care of some last details. "It affects everybody differently," Underhill said. "You don't know how it affects people. So that is there." 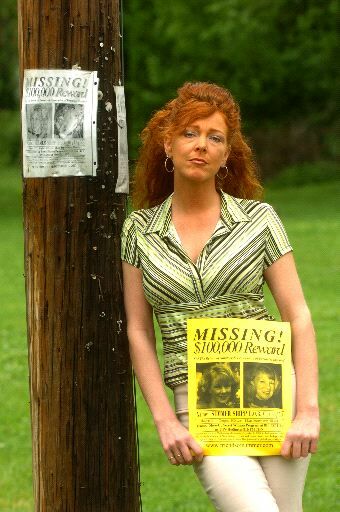 Still, there was little evidence of Shipp battling with long-term depression, or much other information that leads Underhill to believe she ran away. Her purse containing her identification and credit cards was left in the car. Underhill described Shipp as "very stable." Plus, Shipp's dog was left behind, unfed and unwatered. "Her dog is more to her than anyone," Underhill said. The care of Shipp's dog is what alerted her daughter. After Brandy Shipp received word her mother had not been to work in two days she went to the house and saw the dog had not been cared for. From that moment, Brandy's life would never be the same. "I put my whole life on hold," Brandy said. "The only thing that matters to me in my life is finding my mom." Police, too, say little points to Summer running away. Maj. Jerry Heard, head of the Independence Police detective unit, said the case is being investigated as if foul play were involved. "It would be nice know there was something, a spot of blood or something," Heard said. "We don't have anything. We have her car sitting there, and she's vanished." Brandy Shipp, still holds faith her mother was kidnapped and is still alive. She's certain keeping her mother's name in the spotlight will spark recognition. "Someone abducted her. Someone is holding her against her will," Brandy Shipp said. "I know someone knows something." While he won't throw the theory out, Underhill said the more time passes, the more the chances of Summer Shipp being alive dwindle. However, he has seen cases where a person was being held captive. Underhill also says it could be possible that someone driving down the street could have grabbed Summer Shipp. "Any time you have no witnesses that saw anything at the scene, there's a probability of that," Underhill said. "Yeah, of course." Likewise, Heard identifies this as a possibility. 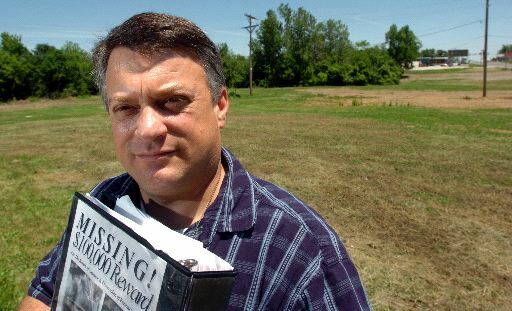 Private investigator John Underhilll, standing near a field where police have searched for clues, believes he has a good idea what happended to Summer Shipp, and who is responsible. A woman in Fisherville, Va., claims to have seen Summer Shipp in a car at a gas station in Greenville, Va.
"She was staring at me for 10 minutes. She had a lot of pretty teeth. Can't remember what vehicle it was. I'm 99.9 percent positive it was that woman," Rachael Vance told Examiner reporter David Tanner. Independence Police Sgt. Dennis Green talked to the woman. "They tried to be very helpful, and I can understand their concern, but the information they gave us was pretty generic," Green told the Examiner last week. "They thought the woman looked like Summer. They just thought it was weird because the woman was smiling so much. They didn't get a license plate." Underhill said it's important not to discard these kind of leads. "You never discard anything that people call in," Underhill said. "I keep my mind open." Police have conducted two field searches of the wooded area near William Chrisman High School at U.S. 24 and Noland Road. Police have also searched homes in the College Terrace neighborhood. Underhill has investigated the field numerous times, also. All the searches have turned up only a savings card that belonged to Shipp. The card was found during Underhill's search this spring. A volunteer kicked the card from underneath dirt and leaves, but police, at the time, were reluctant to say whether the card was a significant piece of evidence. Police also searched Blue Springs Lake on a lead. Heard said police are interested in more than one person in the case. "I can't tell you our plans on an investigation," Heard said. "If we had enough evidence to arrest anyone, don't you think we would? We have a lot of people of interest we are looking at. We talked to everyone in that neighborhood, more than once." Heard said the police lack any physical evidence to make an arrest. Still, Underhill believes the circumstantial evidence points toward one prime suspect. Brandy Shipp stands on College Terrace just east of Forest Avenue, just down the hill from where her mother's car was found in December. Summer Shipp went missing and her daughter is keeping her days occupied getting the word out about her mother whenever she can. Not long after Summer Shipp disappeared, police arrested a man who lives in the College Terrace neighborhood on traffic warrants. Jeff Sauerbry, 33, lives with his mother in the house Summer was walking toward. The last person to speak to Summer Shipp that day, Bill Summers, said he spoke to her for about 10 minutes and answered some questions on the survey. As Summer left his driveway, Sauerbry came up to Williams to sell phone service. "I told him my wife makes those decisions and he would have to talk to her, but she was cleaning the kitchen and probably wouldn't want to talk," Williams recalled. "I said, 'plus you're getting ready to have someone come and talk to you.' "
Summers said he pointed Shipp out to Sauerbry, who turned and walked toward the woman. 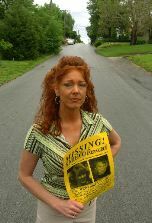 Cellular phone records from around the date of Shipp's disappearance, show Sauerbry made several phone calls every day, but none on Dec. 8, the day Summer Shipp disappeared. The next day, he made three phone calls to a number that turned out to be DNR Salvage Yard. The company, Underhill said, delivered a van to Sauerbry's house for him to work on. During their search police took items from the van to test as evidence, but nothing has come back on that property. Through surveillance of Sauerbry's property, Underhill saw a Bobcat in the back yard. Underhill also discovered, during his investigation, Sauerbry dug a large pit in his back yard and compacted the dirt down with the Bobcat after he refilled the hole. Also, he stacked about four feet of mulch where the pit was dug, Underhill said. However Bill Summers, the man who last spoke to Shipp, said he's never seen any evidence of a Bobcat. "I live right across the street," Summers said. "I think I would have heard that thing running. Unless it was done one day while my wife and I were at work." As far as a pit in the back yard, Summers said he remembers seeing a pit one day when the wind blew his trash cans near Sauerbry's house. However, he said the pit looked more like a grill. "I happened to go back there one day. It was a really windy day, and my trash cans had blown away," Summers said. "I went back there to see if one had been blown back there, and I saw a fire pit. It had metal grates on it and everything, like you would use to cook meat." Police say they are aware of the pit and have investigated it more than once, but would not say if there are plans to dig up the hole. "We searched (Sauerbry's) house," Heard said. "We've searched the yard more than once." Sauerbry is a federal parolee. Court documents from New Mexico show he was charged in August 2002 for assault and battery, but those charges were dismissed as Sauerbry was already in federal custody. His parole was transferred to Missouri. The Examiner obtained documents written by the Independence Police Department stating Sauerby violated his parole by drinking. Likewise, the documentation indicates Sauerbry failed to show up for two urine tests. "This person of interest here, is the most probable person that could be responsible for this," Underhill said. Sauerbry was questioned in the July 4, 1998, homicide of 53-year-old William Kellett, a security officer who worked for a car dealership near the same wooded area behind Chrisman where Shipp's card was found. "He was a transient there," Underhill said of Sauerbry. "He stayed in a tent in that field. He knows the area really well." Kellett was shot and stabbed several times, and the case is still open today. Heard said he could not release information about the 1998 case since it was still under investigation. However, he did say Sauerbry was questioned in conjunction with the homicide but was never charged. During his investigation, Underhill came across a number of women in the neighborhood who reported being harassed, some violently, by Sauerbry. Debra West, who lives in the neighborhood, told The Examiner she is afraid of Sauerbry. Her two dogs had a habit of getting out, and one day a small puppy showed up with the dogs when they returned. Sauerbry claimed the dog was his, but gave the animal to West and her 14-year-old-daughter, but not before he mysteriously showed up at West's work and started showing an interest in West's daughter. "He kept saying he would have to come visit the dog because he missed him," West said. "He tried to get my daughter to go into his back yard." The same day Sauerbry posted bail on his traffic arrests and was released from jail - Jan. 12 - that dog was shot. West isn't convinced the two incidents are related, but admitted the coincidence frightens her. As she learns more about Summer Shipp's disappearance, she begins to fear more for her and her daughter's safety. "It scares me that he's still around. It seems like he uses animals to try to get close to people, especially single women, single moms," West said. "I feel like he's just a scary person." Again, Summers said he's not known Sauerbry to be violent. Sauerbry had just returned to his mother's house last summer, and Summers admits not knowing the man well. "The only thing I've heard is him using a firm tone with his mom, which is kind of out of the ordinary if you ask me," Summers said. Brandy Shipp is emphatic that she is not accusing Sauerbry. "I've seen the cell phone bill," Brandy said. "The Bobcat, I'm not sure. I don't know about that." Family friends of the Shipps, however, have shown interest in Sauerbry. One friend was charged earlier this year for harassing Sauerbry. Since recent newspaper articles have been published quoting Underhill, the investigator said he has been threatened by Sauerbry. Underhill claims Sauerbry called him after being fired from a cemetery job and threatened to kill him. When given the chance to tell their side of the story, the Sauerbry family declined an interview. "It's important that we support Summer Shipp in her best interest," said Sauerbry's mother Sherry. "And go on actual facts." She declined to speak any further on the subject, and said her son would not answer questions on the case. However, she did say the family would come out with a statement soon. Heard could not release specific information about the investigation, but did say he is aware of all of the leads Underhill has brought forward. Heard emphasized police look into every lead. "We've logged thousands of man hours on this case," Heard said. "We continue to put in hundreds of hours a week. We put whatever resources we can into every lead." Underhill is stepping down from the case because he said he has done everything he can. He is hopeful police will take over his leads. Underhill filed a complaint against the Independence Police Department, alleging police made off-handed comments about him to the Shipp family. "I am an extension of the family," Underhill said. "Any insults or threats toward me is a threat toward the family. We just don't need it." If he were in charge of the case, Underhill said he would get a warrant to dig up the back yard. More importantly, Underhill hopes the case is resolved before anyone else gets hurt. "I've got to have my faith in the police to solve this case," Underhill said. "Hopefully, they solve this case." Anyone with information is encouraged to call the TIPS hotline at (816) 474-TIPS or the Move Up secret witness hotline at (816) 753-1111. There is still at $100,000 reward for information leading to the whereabouts of Summer Shipp.